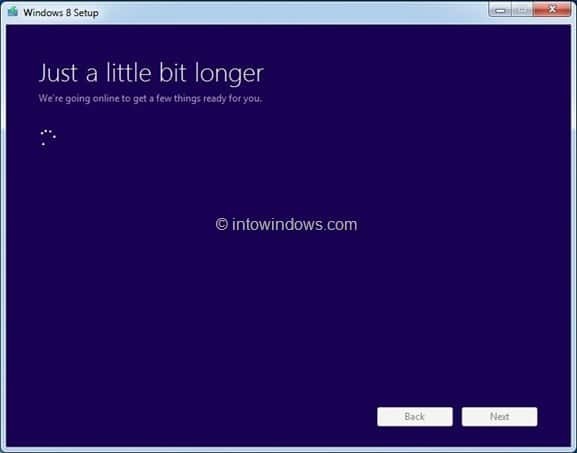 On Friday of last week, we showed you how to upgrade to Windows 8 with the help of Windows 8 Upgrade Assistant, a step-by-step guide to easily purchase Windows 8 upgrade product key and then upgrade Windows 7 installation to Windows 8. Upgrading from Windows XP, Vista, or Windows 7 to Windows 8 is relatively straightforward. 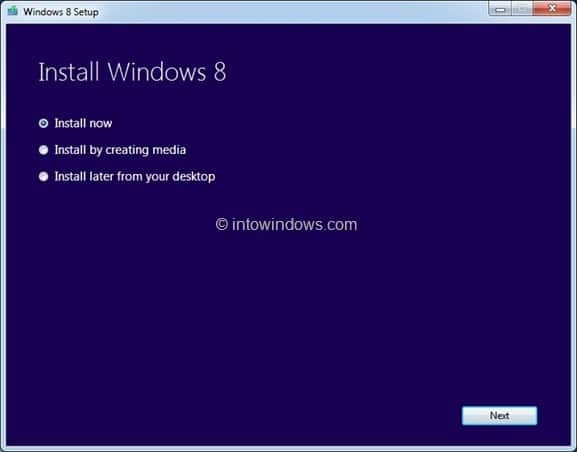 After purchasing the product key and downloading required Windows 8 setup files, the Upgrade Assistant allows you create a Windows 8 ISO file, DVD or USB so that you can use the installation media in future as well. 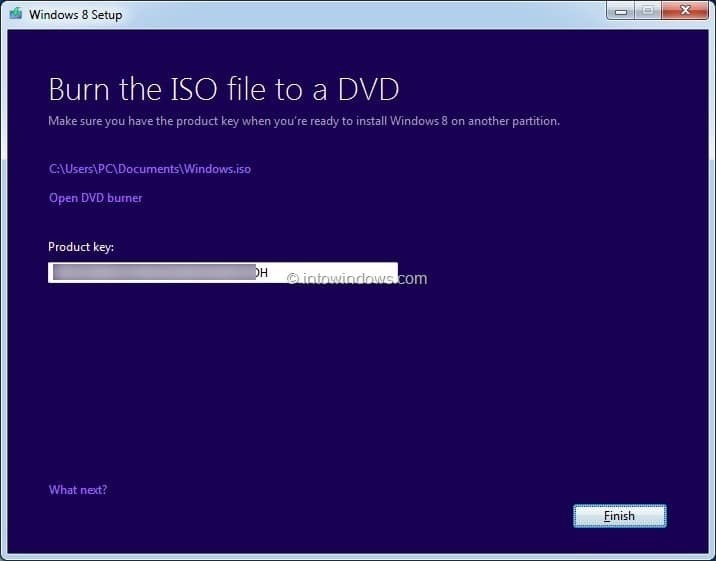 Users who have selected Install now option and didn’t create an ISO file or DVD/USB may be wondering how to download the Windows 8 ISO file from Microsoft. The good news is that if you own a genuine license of Windows 8, you can easily download your Windows 8 ISO file from Microsoft. 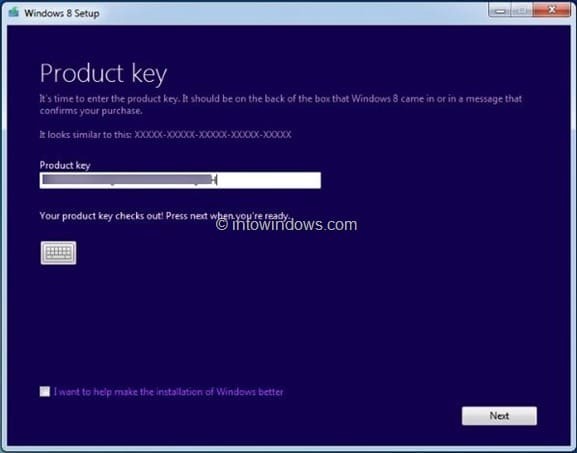 In this guide, we are going to show you how to download your Windows 8 ISO file using the product key that you have purchased with the help of Upgrade Assistant. 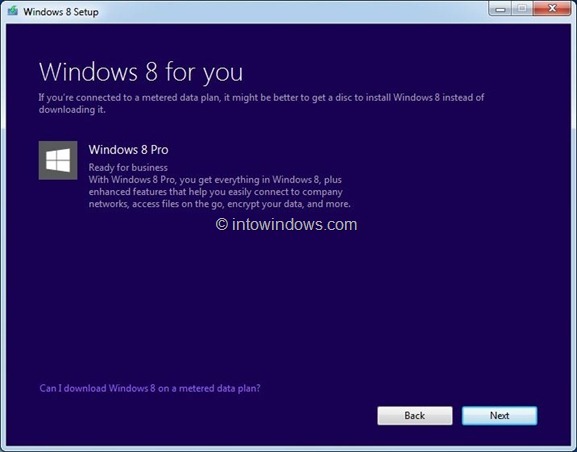 NOTE: This guide is only for users who have purchased a genuine Windows 8 license. 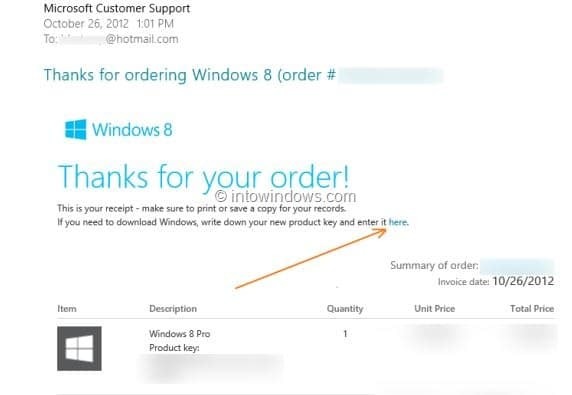 Step 1: Sign-in to your email account that you have used to purchase Windows 8 upgrade product key. In the email that contains your Windows 8 upgrade key, you will see a link to download Windows 8 setup file. Click on Windows 8 setup file link (see the picture) to start downloading the setup file. The setup file is just 5MB! 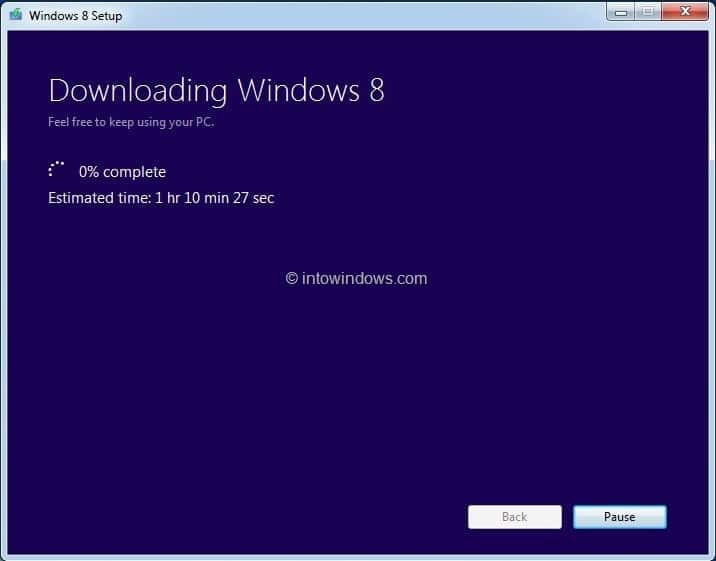 Step 2: Run Windows 8 Setup File on your Windows 7 or Windows 8 PC. Click Yes for the UAC prompt. Step 3: You’ll be asked to enter the product key that you have received from Microsoft. Enter the product key and click Next button to continue. Step 4: When you see “Windows 8 for you” screen, simply click Next button to begin downloading your copy of Windows 8. Step 5: Depending on your connection speed, the setup might take few minutes to hours to complete downloading required files. Step 6: Once the download is complete, the setup will check the download for errors. And then you will see Install now, Install by creating media, and Install later from your desktop. Select Install by creating media option and then click Next button. 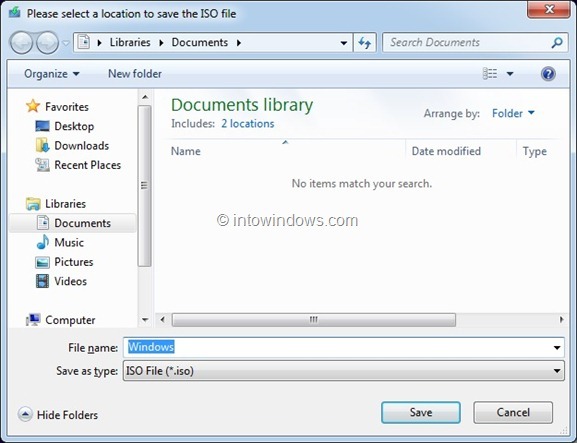 Step 7: In the following screen, you will see save ISO file option. Select ISO file and then click Save button to start creating the ISO file. Once the ISO file is ready, you will see your product key again. Click Finish button. You are done! I also deleted the email and need the link to download the file. Thank you. Great article. I was not aware that this could be done. I’m pretty sure this just saved me about an hour. Question. I have a x64 processor, but when I upgraded to windows 8, it installed the 32 bit version. If I were to follow the above guide, would it provide me the option to pick 64 bit? Or am I stuck with 32 bit? 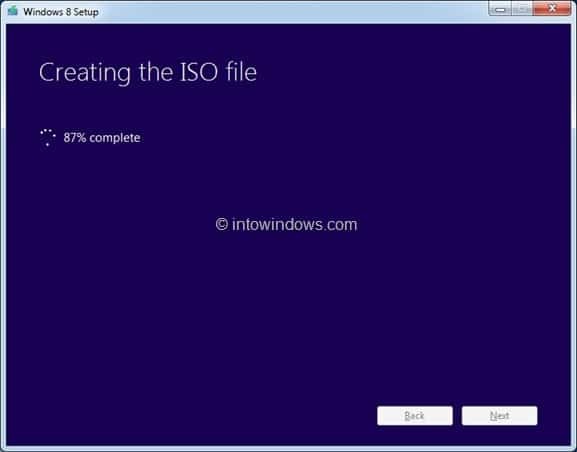 As the iso can be downloaded again, so if you switch from xp 32 bit to win7 64 bit to download, you will get different upgrade to 32 or 64 windows 8? not sure when the system architecture is detected ie. during shopping, downloading or installation ?? Please anyone tell, in this process “Install by creating media” shows only windows 7 and vista? Currently I am running windows xp, and I didn’t get “install by creating media” option. I upgraded a Windows 7 PC yesterday and it gave the option Install by Creating Media. When doing the same today on a Windows XP PC there were no such option. Windows XP need extra software installed to create a bootable usb flash drive that is probably why the option is not available in XP or on some XP machines. When the XP machine is upgraded to Win8 this option should be available. Following the suggestion in post 1 above should do the trick. The specified servicemen not exist as an installed service. very very thankssss…..it realy works.. I purchased new laptop DOS Based and want to install windows 8 pro so please help . The guide is for users who have a genuine Windows 8 license. This setup wants key for continue this further process for download. I am very thankful to everyone . It seems that the “Install by creating media” is no longer an option. I just bought my upgrade today, and when it finished downloading, that option did not show up on my screen. How am I supposed to move the install files from the machine I downloaded to and install on the machine I actually want to upgrade? So will this download the universal 64 and 32 bit or will it detect what your system is and download the correct one? I don’t get the choice to create media. Only the Install Now or the Save to Desktop options. Is there any way to download this for archival, in case I need to reload the Win8Pro OS in future? Also, it put a 32 bit version Win8Pro on my 64 bit processor machine. A bit annoyed but I did buy the upgrade from a WinXPPro (32bit) loaded machine and so it seems they just go with the OS type platform that you purchased the upgrade with (32 vs. 64 bit) and they are not looking at the CPU & system capability at all. I know a lot of OEMs installed 32 bit versions of Windows XP/Vista/7 on 64 bit CPU capable machines. They should have given the option or let customers know what is going to happen before they spent their money. How to install it from linux mint? Does anyone know? Can we resume the download(if any mishap happens-powercut/internet connection problems)? My windwos 7 PC (which is the one I want to upgrade) has a slow internet connection. So I wanted to download it at work and create an ISO then install it at home. The download ran okay but there is no option to install by creating media. The only options I get are to install now or install later from desktop. Each time i try again, it starts trying to download, stays with 0% for few seconds, minutes, and stop with the same error message. I mean using your procedure always tarts at step 5, and I’m never prompted to enter my key. I have deleted the mail and I can’t download the setup file. Can you please send me a link for download?